Is there breaking-up in friendship? This question popped-up into my mind when I am experiencing the demands, hassles, and burdens of friendship nowadays. What must be the real essence and nature of friendship, and why there’s a term in friendship called “breaking-up”? We all know that friendship is our support system. 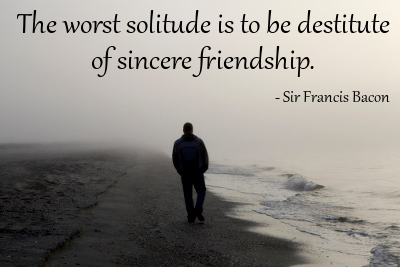 We need friends because it enhances and nurtures our identity as social beings. But, when friendship gets rough, leads us to stress, and no longer serves as a support; we cannot but let go and break up to with our “friends”. Just like in a romantic relationship, “breaking-up” is a possibility in friendship. But, it doesn’t mean it’s over. 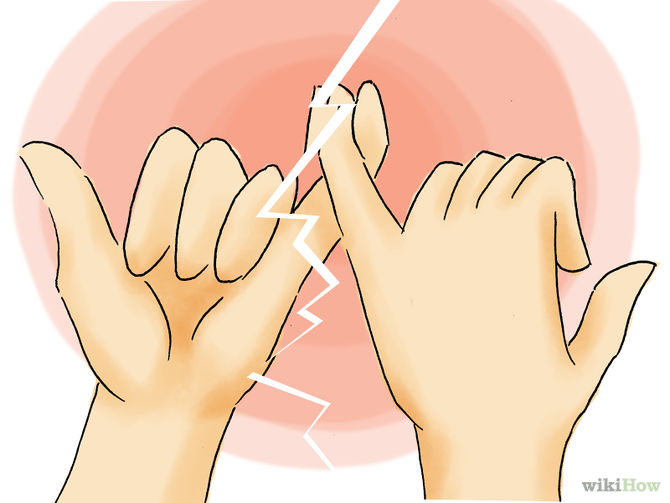 “Breaking-up” in friendship is different from breaking up in a romantic relationship. It’s just a moment of accepting the fact that in friendship there’s a need for re-evaluation. Yes it’s true that some friendship does not last forever so it ends in breaking-up dramatically. When this occurs just continue to move on and start all over again. I, myself, am not exempted in this kind of situation. There were a lot of “breaking-ups” that I experienced in friendship simply because it does not anymore become healthy and sound. But, I did not give up on reviving it and make it as more enhancing and nurturing means for my growth and maturity. At first, I don’t understand why the reality called “breaking-up” in friendship is evident and existence. After I experienced this several times I realized that it’s an indicator for me to ask myself how far I am doing my best to become honest, productive, sincere, and transparent in friendship without thinking, and should never be, that my friends are but just an object of my needs. I could say friendship is the most serious kind of relationship than romantic relationship. Just like what the most inspirational, and greatest Christmas film of all-time, It’s a Wonderful Life (1946) about friendship; “No man is a failure who has friends”. Hence, even though “breaking-up” in friendship is a reality in life; it does not guarantee us to end our capacity to enter in this kind of relationship. It’s undeniable that it hurts, but how we will be able to gain friends if we avoid ourselves in this kind of reality. “Breaking-up” in friendship is not a curse but an opportunity to re-think and straighten the crooked lines of this kind of relationship. Yes, it’s not easy, but I always believe that the secret of effective relationship in friendship starts in pain; so “breaking-up” is necessary if and only if it seen in the vantage point of optimism and acceptance. These are the words that caught my attention as I reflect on the gospel yesterday. Seeing the connection of these words into my life, I cannot but refer it in my vocation story since it was also the celebration of the 52nd World Day of Prayer for Vocations yesterday. As I do my very best to connect the words that made me reflect yesterday into my state as a religious soon to be priest; allow me to share to you my vocation story. When I was a high school student, I don’t have any interest on priesthood. My dream was to become a Chemical Engineer and get off my parents from poverty. It’s normal and common to dream big like this especially when you came from a poor and underprivileged family. So, during my high school days I study hard and really did my very best to pursue my dreams and not lose my focus. In order to be self-motivated, I always say to my self during those times that I should never give up in achieving my dreams and goals in life which will serve as a means for my family to have a better life. But, everything has changed when God suddenly intervened as I am chasing my own plans, goals, and dreams in life simply because He has a better plans, goals, and dreams for me. Revisiting my vocation story I asked myself; “Why He called me in this kind of life despite the fact that I am a sinner and I am not worthy? Why He chooses me among those who are the best, the most intelligent, the most pious, etc. ?” Simply because, He trusts me and He used my vulnerabilities for establishing a message that His call and love is not just for the righteous but for all. Hence, He is a good shepherd; a shepherd that is ready to lay down his life for all of us. It’s the same thing that the Lord is challenging us to do, i.e. to be a good shepherd for others especially for those who called by God for priestly and religious vocation. God pastured me as His sheep in my seminary formation; now, he challenges me to do the same, i.e. to pasture the people who longs for love, hope, and empowerment. It’s really a challenging task, but with the help of God nothing is impossible. 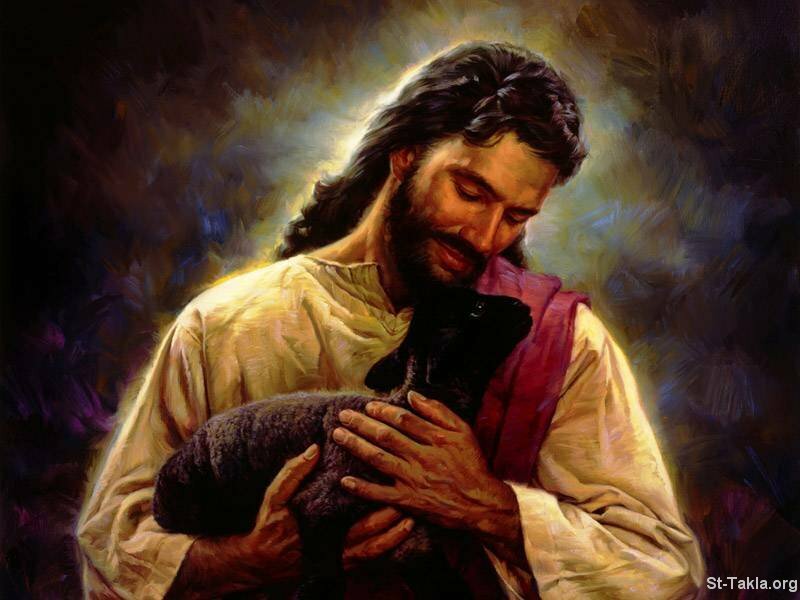 Henceforth, the message of the good shepherd is not just only for us who follow His path, but for each and every one of us. To be like Him is a universal call that all of us must consider because we have the responsibility and the duty for our brothers and sisters who are longing for love, hope, and empowerment. Let us also include on our prayers that Lord of the Harvest may always send good and holy laborers in the Church. Also, include me in your prayers that I may be a good and holy laborer of God in his vast Harvest. I dedicate this write-up for those who abandoned by their friends and for those who continue to love and consider them as friends even though they’re already rejected and neglected by them. In friendship, I believe in this philosophy which states; a friend is someone capable of perfecting my imperfections, fulfilling me, revealing to me who I am because you are my friend, because you love me, because you are my personal good and I am also your personal good, and because you make me conscious of loving and arouses within me a sense of wonder and admiration. Hence, you are so important to me because you make my joy and my being complete. This is how I consider you not just as a friend but a person who has capacities and uniqueness. I trust you, I believe in you, and I respect you because you also did these to me. Because of you everything has changed into my life. You free me from my sorrows and sadness. You help me to appreciate my uniqueness and also my weaknesses. Indeed, you’re such a good friend to me and you’re always saying to me whenever we talk; when you feel down and troubled and you need a person to talk and to be your crying shoulder, just call out my name and I’ll be listening to you and I’ll be at your side as your crying shoulder. Suddenly, as time goes by, I cannot but be amazed and surprised that these things will be just a part of happy memories inside my mind. What happened? Why things have changed in our friendship? I thought everything will be okay and fine, but why there’s an abrupt amendment on our friendship? Why you suddenly left me behind without any reason at all? Have I hurt you that’s why you left me alone in my loneliness? I cannot feel you anymore. I cannot understand why all of a sudden you break my heart and confuse my mind into uncertainties. Before, everything is overwhelming and wonderful when we are together as friends sharing our own insights about love and relationship; but now out of the blue you faded away without any manifestations. This is a sad reality that unrecognizable and unacceptable. I cannot but cry and ask the heavens why these things are happening to me? Did I commit something wrong to you, my friend? In this experience I realized that the most painful and hurting experience in the life of the person is to be left behind by a friend without any reason at all. It’s more horrible than a break-up, and more horrifying and despairing than a simple rejection. It’s like a slap on my innocence when you reject me and you left me suffering on my own grief and anxieties. Why? This is the only question that my mind and my heart cried out when you now avoid me and consider me as nobody. Even if you treat me as nobody or as an insignificant person I will still consider you and love you as a friend. You’re still significant into my life. Yes, I am in pain now, but I will never regret that you became an important part in my growth and in my existence. You’ll always be in my heart no matter how excruciating the loneliness and sadness that you have given me. You’ll always be a friend to me; capable of perfecting my imperfections, fulfilling me, revealing to me who I am, my personal good, and a person who makes me conscious of loving and rouses within me a sense of wonder and admiration. Though how many times you forget me and reject me as you friend, in my heart, I will always consider you as my friend; a special and unique friend to me. An Insignificant Friend of yours. In the past months until now I am experiencing the crisis that is very common, but an excruciating experience for all of us, i.e. Spiritual Dryness. In my prayer it seems that God is not present and it’s like that I am facing a blank wall whenever I communicate to him. I have a hard time now to recognize God and his presence in my life because it seems that he is hiding from these dark nights that I am encountering right now. I feel so lonely and sad without any reason at all why I am lonely and sad. I feel so down and troubled inside and the graces coming from the Lord, which for me a source of my strength and courage seem so ordinary and secondary. I don’t understand why these things are happening to me. I am doing my very best to love God and to be close to Him, but nothing happens and I can’t find any consolation coming from him when I strive to love him wholeheartedly and sincerely. Where’s God in my life? This is my question into myself as I struggle to find him in the dark and in the blank walls. I feel so alone and cold as I am suffering this kind of grief which I don’t like really to experience and happen into my life. As I reflect on the gospel today my attention was caught by these words; “Why are you troubled? And why do questions arise in your hearts? Look at my hands and my feet, that it is I myself. Touch me and see…” (Luke 24:38-39). As I let these words speaks into my awareness, I cannot but feel emotional and suddenly asked these questions; how am I may able to look at your hands and feet if I cannot feel your presence? How am I may able to touch you and see in the midst of darkness and confusions that surrounds my faith in you? The only thing that I responded on his words coming from the gospel for today is trust. Despite the fact that I am suffering from this kind of despair inside my heart, I am still blest that he understands and forgives me as a friend. I inflicted Him so many scars because of my sins and weaknesses, yet He treats me as a friend. From the past days I am longing for someone who will be my crying shoulder in my deep sadness and loneliness. Unfortunately, I cannot reach them because they are unreachable and busy in their own worlds. I really feel so alone and minding at my own crisis. 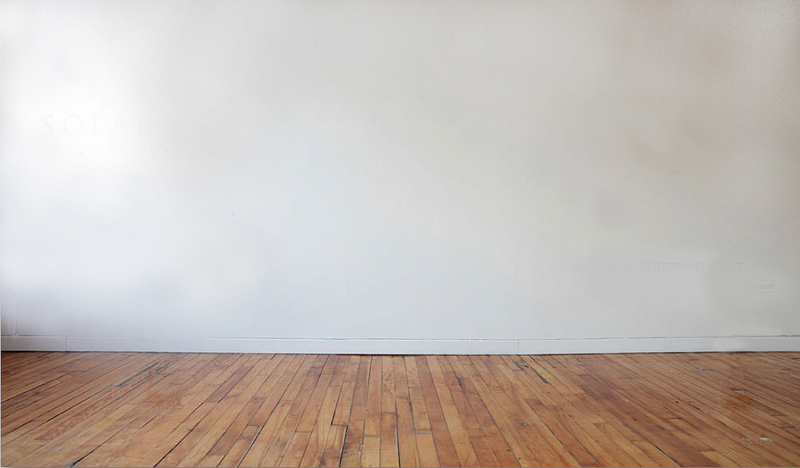 The only thing that that I do is just to surrender everything to God who is like now a blank wall to me. It’s painful, but I need to trust Him still even though he is unperceivable for me now. Instead to enjoy the summer breeze that really makes feel someone fine, I’m battling at my own loneliness and sadness. “Do not be afraid…Trust”; these are the words that God challenges me as I reflect the gospel for today. In spite of the trials and difficulties that I am experiencing right now and the pain that I am trying my best to endure, I still trust the Lord and believe on Him no matter how agonizing the pain inflicting inside me. It’s tiring and I cannot anymore endure it. The only thing that passed to my mind on how I may be able to face this reality is to surrender and trust. Something ordinary for me, yet I know it will help me as of now. I believe I may be able to conquer these things. Maybe, it’s not yet the right time to see the light amidst the darkness and the struggles that I face. The demand of love is sometimes painful and hurting. It strikes the heart and the capacity to move on and to be tough in every unexpected circumstance in life. When this experience occurred in my life I cannot but fell down my knees and sob in tears. Actually, I admit, it’s easy to describe and define love in words and in rhyme, but when it penetrates the heart and the deed it’s a different story. I have been saying a lot of good things about love, but if I were to be asked how far I consider love in my life; my answer would be “I am still searching for it.” I realized that when you are searching for love, the more it becomes painful, tremendous, and hurting. Yes, it may be seen as a sad reality, but this is what love is all about when you seek. But, after all these twists and turns in love, there’s joy. As of now I am still tired of loving. Perhaps this feeling that I am experiencing right now is an invitation for me to stop for a while and ask myself how far I can be serious in taking up the demands of love. I am not a perfect lover. I easily get tired of loving when what I have exerted a lot of effort and sincerity is not enough. But, it does not mean that I will give up in loving sincerely. I will not give up in loving sincerely and faithfully until I die. Sounds romantic; but this is who I am. People sometimes misunderstand me of being like this. People judge me as a fool and crazy. For me, this is what it means to be a true lover, i.e. to be fool and crazy in loving even though it’s draining and absurd, and even if people rejects it. I believe love is what we need even though it’s challenging and arduous. What be the image of life without love? Definitely, it will be meaningless. Hence, love is all that matters for me even if I waste tears in my eyes and energies in my soul. Love is still what drives me to go on even if the same love is what tempts me to say, Gi kapoy nakog higugma! 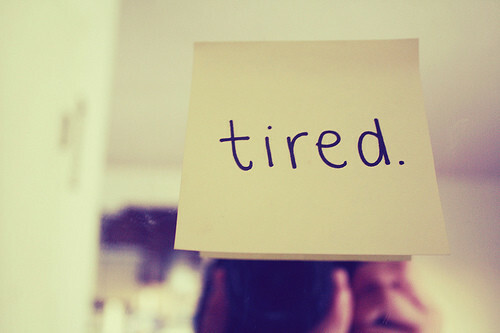 (I am tired of loving!). It’s right to say that we cannot perform a certain task and accomplish it well unless we put love on it. Everything that we do and we encounter in life is tantamount to loving many things. Everything that we also achieve in life is not just only a product of our efforts and perseverance; it’s also a product of love that which could be realized by dedication and sacrifice. Hence, we need love not just as an inspiration, but a motivation to do things well. Today, what is the dilemma that we encounter in terms of fulfilling and achieving something is not the intensity and the quantity of work, but the capacity to put love on the work that we engaged ourselves with. We easily get tired, anxious, stressed, distressed, and bored when we feel the monotony of work. And once we experienced this so-called “dryness” in work, we become grouchy, irritated, and a grumbler towards it. Actually, the nature of work is not about beating the deadline; it is one of the exercises on how we regard love as an important factor for a better life. Work does not define who we are. It is just a means for us to evaluate how we consider ourselves as persons capable of loving what we do and what we persevered. Indeed, Vincent Van Gogh is right in saying; “…what is done in love is done well.” We cannot work better unless we love our work. Work not just for fulfillment but for productivity and growth. It’s nice to be always motivated when we start to love our work. After the exhausting work at the end of the day, you will really feel the relief and the satisfaction when love rules over the demands of work. We are not machines, but persons capable of loving the things that we do and work on. When things are done well it is not because of our skills, but because of our dedication, diligence, and perseverance which we add also love as flavor for our efforts. Hence, let us not think ourselves as persons who rely the meaning of our existence on work itself, but rather let us consider ourselves as persons who are capable of loving our work and doing it well all because of love. 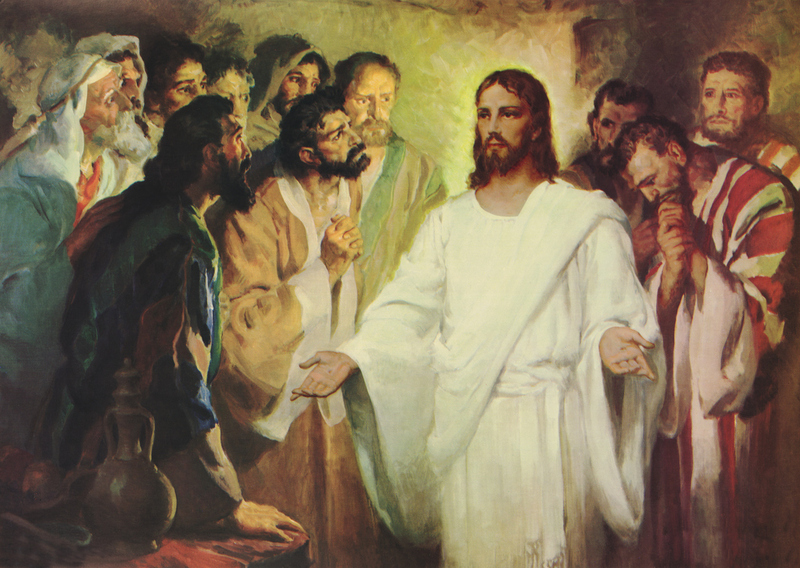 If I will put myself on the gospel for today wherein Jesus came and stood in front of His disciples and said, “Peace be with you”; I will consider that experience as the best moment of my life. As I reflect on the gospel for today, I cannot but compare myself with the disciples who were in fear and distress until Jesus came and stood in their midst. It is peace coming from the resurrection of Jesus that cast out their fears and distresses, but it takes a lot of their faith that they were able to realize He is the Messiah, Christ, and Savior who sent by God to save us and to forgive us from our sins. Whenever I am thinking of this insight coming from the gospel, it simply invites me to look upon the graciousness of God through the prodigious image of Jesus’ resurrection that assures me of redemption and forgiveness should I believe and surrender all my fears to him. Whenever I am in doubt like Thomas in the gospel and in fear like the disciples, it seems that the door of my heart is locked and impenetrable for His grace. This kind of troubling moment in life is really undeniable and happens when life goes rough. Actually, I experienced this recently. It’s hard to recognize the graciousness and the light of Jesus’ resurrection when things are not according to what you expect. So, fears and doubts come along the journey and the hard-hitting scenario of these inescapable realities is this; it pulls you down and it really feels you the blitzkrieg of being alone of your own cold dark nights. The only thing that I did in order to overcome these is to surrender everything to Jesus’ resurrection as my tears fell on my eyes to my cheeks. It was a remarkable experience and I recall what God has told Thomas when He appeared on him; “do not be unbelieving, but believe.” On that instance I have experienced the peace that Jesus has brought to the disciples and Thomas when they were in fear, in distress, and in doubt. On that moment I realized that the peace coming from Jesus’ resurrection is not just a mere feeling or an experience of calmness or relief from an emotional disturbance, but a grace rooted on faith. This is what we long for as we struggle in this life. We need peace not as an ideology but as a gift that produces an everlasting love coming from the heart of Jesus’ resurrection. A peace that knows how to forgive, knows how to cast out all our fears, and knows how to be an authentic believer. I am so thankful that God has taught me a lesson by the gospel for today, and it’s about peace. Lesson learned; “do not be unbelieving, but believe” (John 20:27). This is what peace is all about in the perspective of Jesus’ resurrection. It simply reminds me not to be afraid on believing on His capacity to unlock the door and the window of my heart. For Him, an open heart welcomes the light that brings peace of heart and mind and an everlasting happiness in life. The only key for this is to say these words deep within my soul “I believe”.